This is a YouTube playlist of The Complete Hits. Click on the icon in the upper left corner for a list of songs and tracks. 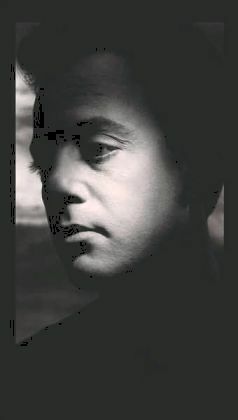 In addition to releasing Billy Joel's Greatest Hits Volumes III in 1997, Sony Music also released a special collection containing all three volumes of Billy's Greatest Hits (I, II and III) as The Complete Hits Collection. This was released both as a 3-disc compact disc as well as a 4-disc special boxed set. 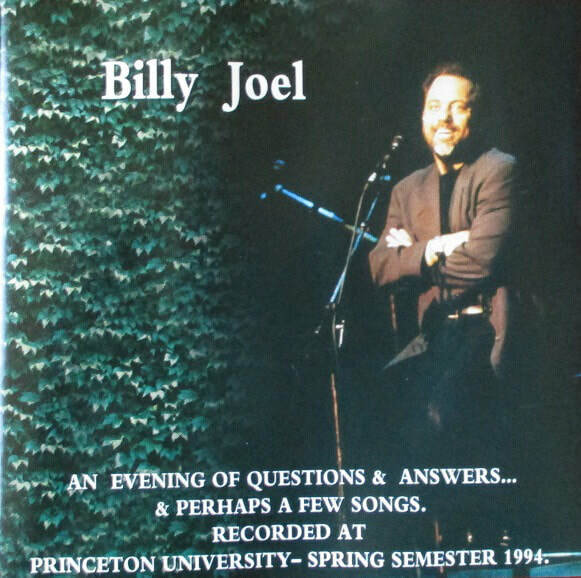 The boxed set contained a fourth disc which is a recording of one of his master class, An Evening of Questions and Answers, that Billy had done. You find a playlist of the spoken parts of this last disc here. 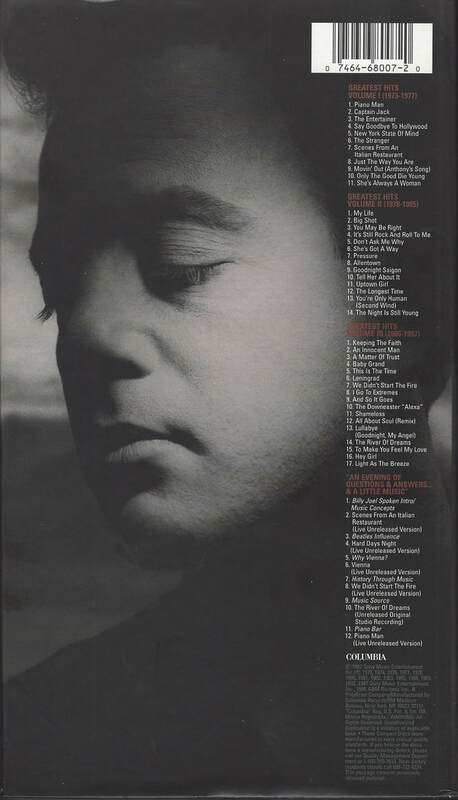 This is probably the most complete collection of Billy's hit songs and includes several songs that were not released as singles such as "New York State of Mind" and "Scenes From An Italian Restaurant." It does not include, however, other essential songs like "Summer, Highland Falls," "Vienna," and "Miami 2017." And it does not include some moderate hits like "Honesty" and "Sometimes A Fantasy." But it is the best collection of Billy's songs. 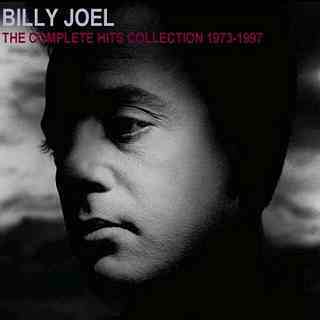 If you get just one Billy Joel compilation, this is the one to get. 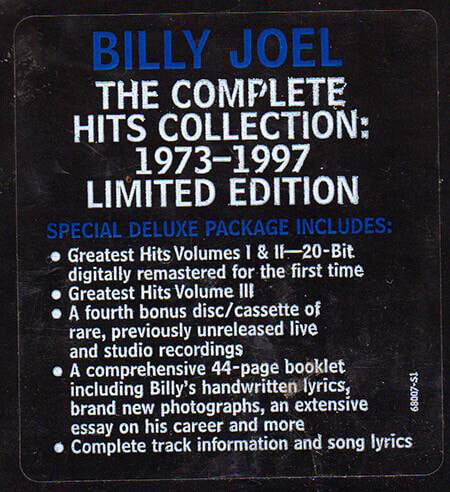 The boxed set also contained a booklet that included an in-depth article about Billy Joel by noted music journalist Timothy White which had appeared in Billboard Magazine when Billy received Billboard's Century Award. In addition, the magazine also contained short essays from Billy's old band mate in The Hassles and Atilla, Jon Small. It is a very entertaining essay. Small eventually became a successful music and concert video producer. There is also another essay from Jim Bosse, a band mate from Billy's first band, The Echoes who became The Lost Souls. Bosse is the subject of Billy's song "James," which appears on the Turnstiles album. The front cover with eyes open. The cover art and photo seemed unusually somber for this collection. The back cover with eyes closed. An Evening of Questions & Answers . . .
Billy recorded Bob Dylan's "To Make You Feel My Love" for Greatest Hits, Vol. III and The Complete Hits. Billy's version was released before Bob Dylan's version. The fourth CD disc in The Complete Hits was a Q&A session from 1994. See above playlist, but tracks are in a different order (audio only).